Open letter by FARC commanders Iván Márquez and Oscar Montero to the Peace Commission of the Colombian Senate. Translator’s note: Luciano Marín Arango, alias Iván Márquez, a member of the FARC secretariat and head of the insurgency’s negotiating team in Havana for more than four years, on April 15 moved from his residence to Caquetá, specifically to a community established under the peace agreement to receive demobilized guerrillas. Since September 9 his whereabouts is unknown. Márquez was a senator as per terms of the peace agreement. 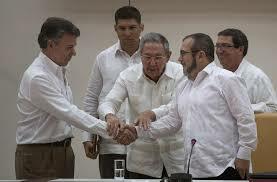 Oscar Montero (El Paisa), formerly a FARC commander and fellow peace negotiator with Márquez, also went to Caquetá, as did four other former guerrillas. Montero has also disappeared. Márquez and Montero sought safety following the arrest April 9 of fellow FARC peace negotiator Jesús Santrich, sought for extradition to the United States. Even thought soulless predators destroyed the peace agreement, we continue to dream of peace in Colombia. At least three foolish tendencies pushed those hopes woven in Havana into the melancholy abyss of failed peace processes: legal uncertainty, modifications of the original text of the agreement, and non-fulfillment of essential aspects of the accord. Without a doubt, legal uncertainty hit the roof with the arrest of Jesús Santrich. That was a preliminary to his extradition mediated through a judicial farce concocted by the attorney general, the U.S. ambassador, and the DEA. Conceived to sabotage peace, this frenzied decision ended up chasing away the little confidence still remaining among former combatants. We must recognize that the nation’s attorney general has become a factory of lies aimed at throwing the book in a legal sense at many people – in our case at the leading peace negotiators for the guerrillas. Astonishingly, in proceeding with their montage, they’ve moved our efforts at peace, and thought itself, into the category of a crime so as to justify extradition. They are desperately looking to wreck, once and for all, a collective craving for peace. We are confronting bare-faced abuse in the exercise of power. Unacceptably, it involves surrender of our legal sovereignty to a foreign power. We must not leave peace in the hands of personalities like [Colombian Attorney General] Martínez and [U.S. Ambassador] Whitaker. They lack the common sense needed for shaping the destiny of Colombia, which definitely must not be war. But what does the United States gain in crushing peace in Colombia? It’s contributed very little to strengthening peace. In that regard, for example, the United States could have freed Simón Trinidad after the Havana agreement was signed. He was extradited 14 years ago by the government then through a judicial sham. John Kerry, a former Secretary of State had introduced this possibility in a meeting we personally held with him in the island’s capital. Those good intentions were swept away, as if by wind. Now to the next consideration: modifications to the original text transfigured the Havana agreement into a horrible Frankenstein. Personalities who were never anointed with the honor of being envoys of the negotiating parties firmly put their hands to damaging all that was constructed with so much effort and love. It happened after the handing over of arms. You can’t betray peace like this. Agreements, solemnly signed, are meant to be fulfilled. Where elsewhere in the world has something like this taken place? The same state that signed the agreement then set the dogs on its trunk and extremities to destroy it, all the while claiming to be an independent power. And constitutional means for harmonious collaboration were in its hands. Then the state promotes disregard of an international obligation. It rests on the well-known fact that the peace agreement is considered to be a special agreement under Article 3 of the Geneva Conventions and also is ranked as an official document of the United Nations Security Council. To this we must add the judgment of the Constitutional Court; clearly and categorically it ruled that the next three governments weren’t allowed to modify the agreement under discussion. Former president and Nobel Prize winner Juan Manuel Santos possessed neither the courage nor the conviction to make use of powers the Constitution afforded him. Fearing that pack of hounds, he preferred not to cross the Rubicon. Senators: the Special Jurisdiction for Peace (JEP) is not what we approved in Havana. It’s what the attorney general and the enemies of the agreement wanted. Now it doesn’t extend to all those involved in the conflict. They took jurisdiction away, transferring it to third parties. They surrounded the truth with darkness, and the truth is the only thing that can close and heal deep wounds resulting from the conflict. Only through truth can a new atmosphere of coexistence be generated. They also expanded the number of people immune from prosecution and thus assured long life for impunity. With his own hands Attorney General Martínez planted mines in the JEP, those of recidivism, front men, and nit-picking, thus enabling the transfer of former guerrillas, shackled, into the ordinary justice system. He thereby satisfied his thirst for hate and vengeance which he shares with certain powerful elites. Really, they took advantage of legislative “fast track” in order to rapidly tear away substantial aspects of the peace agreement, and with the incoherent blessing of the [Constitutional] Court. We must not forget that the Law of Proceedings for the JEP was approved unilaterally and in no way did they take into account the opinion of the CSIVI (Commission for Monitoring, Furthering, and Verification of Implementation of the Peace Accord). The impression will always remain with us that the government’s concern for victims of the conflict was fake and embellished with words full of air. Finally, we say without evasion and in frank language that the essentials of the Havana peace agreement have been betrayed. The previous Congress did away with political reform and the “special territorial constituencies for peace.” It didn’t fully apply amnesty; there are still guerrillas who are prisoners. Five year after reaching the first partial agreement, there are no certifications for land, no fund for 7.5 million acres for those who have no land, nor anything signifying that life in the countryside is worthwhile. Substitution [of legal crops] is bogged down because the attorney general doesn’t allow differential criminal treatment for small farmers growing crops and for poor women, and because there is no formalization of property in land and no alternative economic projects. That same guy has sabotaged the functioning of the Special Unit that fights paramilitaries. He arranged it so that more than 15 thousand accusations of paramilitary activities and of economic support for those criminal entities are sleeping on shelves in the Office of the Attorney General and dreaming peacefully of impunity. Paramilitaries assassinated 100,000 Colombians, according to the Historical Memory project. The agreement had a structural fault that weighs like an Egyptian pyramid, we agreed to the laying down of arms first without having reached agreement beforehand as to terms of the guerrillas’ economic and social reincorporation into society. That causes the problems that confront the ETCR (Territorial Spaces of Training and Reincorporation) today having to do with non -fulfillment of what was agreed to. Translated by W.T. Whitney Jr.
Pese a que el Acuerdo de Paz fue destrozado por depredadores sin alma, nuestro sueño sigue siendo la paz de Colombia. Al menos tres actos de insensatez empujaron la esperanza tejida en La Habana al taciturno abismo de los procesos de paz fallidos: la inseguridad jurídica, las modificaciones al texto original de lo convenido y el incumplimiento de aspectos esenciales del Acuerdo. Sin duda, la INSEGURIDAD JURÍDICA tocó techo con la detención de Jesús Santrich con fines de extradición mediante montaje judicial urdido por el Fiscal General, el embajador de los EEUU y la DEA. Esta decisión delirante concebida para sabotear la paz terminó ahuyentando la poca confianza que aún quedaba en los excombatientes. Debemos reconocer que la Fiscalía General de la Nación se ha convertido en una fábrica de mentiras para empapelar judicialmente a mucha gente, y en el caso que nos ocupa, a los principales negociadores de paz de la guerrilla, llegando hasta el asombro de elevar en el rollo de su montaje, la tentativa y el pensamiento mismo a la categoría de delito para justificar la extradición, buscando desesperadamente hundir sin remedio el anhelo colectivo de paz. Estamos frente a un descarado abuso en el ejercicio del poder, mezclado con una rendición inaceptable de nuestra soberanía jurídica a una potencia extranjera. No podemos dejar la Paz -que es el derecho más importante- en manos de personajes como Martínez y Whitaker. Carecen ellos de sentido común para trazar el destino de Colombia, que definitivamente no puede ser el de la guerra. 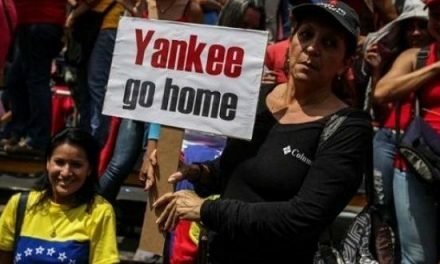 Pero, ¿qué gana EEUU aplastando la paz de Colombia? Muy poco ha contribuido a fortalecerla. Para reforzarla, por ejemplo, pudo haber liberado, luego de la firma del Acuerdo de La Habana, a Simón Trinidad, extraditado 14 años atrás a través de un montaje judicial del Gobierno de la época. John Kerry, ex Secretario del Departamento de Estado había abierto esta posibilidad en una reunión que sostuvimos personalmente en la capital de la Isla. Esas buenas intenciones fueron arrastradas por el viento. Por otra parte, las MODIFICACIONES AL TEXTO ORIGINAL DE LO CONVENIDO transfiguraron el Acuerdo de La Habana en un horroroso Frankenstein. Personajes que nunca fueron ungidos con el honor de ser plenipotenciarios de las partes, se dieron a la tarea de meterle mano para dañar lo construido con tanto esfuerzo y amor. Sucedió después de la entrega de las armas. Eso es perfidia, trampa y “conejo”. Mal hecho. No se puede traicionar la paz de esa manera. Los acuerdos, que fueron firmados solemnemente, son para cumplirlos. ¿En qué otra parte del mundo ha ocurrido algo semejante? El mismo Estado que firmó el Acuerdo, azuzó luego a su tronco y a sus extremidades a destruirlo aduciendo la independencia de poderes cuando tenía en sus manos el recurso constitucional de la colaboración armónica. Se produjo entonces el desconocimiento de una obligación internacional que descansa en el hecho notorio de que éste es un Acuerdo Especial del Artículo 3 de los Convenios de Ginebra y que ostenta al mismo tiempo el rango de Documento Oficial del Consejo de Seguridad de NNUU. A esto debe agregársele el fallo de la Corte Constitucional que estableció de manera clara y categórica que dicho Acuerdo no podía ser modificado por los próximos tres gobiernos. El ex Presidente y Nobel de Paz, Juan Manuel Santos, no tuvo ni el valor ni la convicción de hacer uso de las facultades que le otorgaba la Constitución para salvar el proceso. Prefirió no cruzar el Rubicón por temor a la jauría. Señores Senadores: la JEP no es la que aprobamos en La Habana, sino la que querían el Fiscal y los enemigos de la concordia; esta ya no es para todos los involucrados en el conflicto; sustrajeron de su jurisdicción a los terceros; rodearon de tinieblas la verdad, que es lo único que puede cerrar y sanar las profundas heridas causadas por el conflicto y generar al mismo tiempo un nuevo ambiente de convivencia. También ampliaron el universo de los aforados para asegurarle larga vida a la impunidad. Con sus propias manos el fiscal Martínez sembró en la Jurisdicción Especial para la Paz las minas de la reincidencia, el testaferrato y otras argucias para poder llevar encadenados a antiguos guerrilleros a la justicia ordinaria y saciar así su sed de odio y de venganza que comparte con ciertas élites del poder. Realmente el “fast track” legislativo fue aprovechado para destrozar a dentelladas rápidas aspectos sustanciales del Acuerdo de Paz con la bendición incoherente de la Corte. No debe olvidarse que la Ley de Procedimiento de la JEP fue aprobada unilateralmente sin tener en cuenta para nada la opinión de la CSIVI. Siempre quedamos con la impresión que la preocupación del Gobierno por las víctimas del conflicto fue una preocupación fingida adornada con palabras llenas de aire. Finalmente, sin eufemismos y en lenguaje franco: lo esencial del Acuerdo de Paz de La Habana ha sido traicionado. El Congreso anterior hundió la Reforma Política y las Circunscripciones Territoriales Especiales de Paz. No se aplicó plenamente la amnistía; todavía quedan guerrilleros presos. Cinco años después de lograr el primer Acuerdo Parcial no hay titulaciones de tierras, ni fondo de 3 millones de hectáreas para los que no la tienen, ni nada que signifique dignificación de la vida en el campo. La sustitución está empantanada porque el Fiscal no permite el tratamiento penal diferencial para los campesinos cultivadores y mujeres pobres, y porque no hay formalización de la propiedad de la tierra ni proyectos económicos alternativos. El mismo personaje ha saboteado el funcionamiento de la Unidad Especial de lucha contra el paramilitarismo imponiendo con ello que más de15 mil imputaciones de paramilitarismo y de apoyo económico a esas estructuras criminales, que según Memoria Histórica han asesinado a 100 mil colombianos, duerman engavetas en la Fiscalía el sosegado sueño de la impunidad. El Acuerdo tuvo una falla estructural que pesa como pirámide egipcia que fue haber firmado, primero, la Dejación de las Armas, sin haber acordado antes los términos de la reincorporación económica y social de los guerrilleros. Esa es la causa de los problemas que hoy afrontan los ETCR por incumplimientos del Estado. Ingenuamente creímos en la palabra y la buena fe del Gobierno, a pesar de que Manuel Marulanda Vélez siempre nos había advertido que las armas eran la única garantía segura de cumplimiento de los eventuales acuerdos. Hoy a los guerrilleros los están matando uno a uno en medio de la indiferencia de las autoridades, e igual sucede con los líderes sociales cuyo sacrificio parece no tener fin. Tengan en cuenta que hasta el sol de hoy no se ha producido ningún desembolso para financiar proyectos productivos en los Espacios Territoriales. Que alguien nos diga a qué bolsillos fueron a parar los recursos del post conflicto colocados tan generosamente por los países donantes. 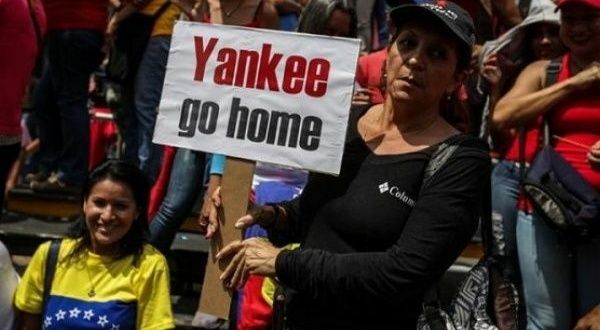 Señores y señoras congresistas: nuestra principal preocupación es cómo sacar la paz de Colombia del abismo de los acuerdos fallidos a la que fue arrojada con desprecio, y nos gustaría conocer al respecto sus valiosas apreciaciones. Vale la pena intentar lo imposible, porque de lo posible se ocupan los demás todos los días. Reciban de nuestra parte un saludo cordial.